For some reason, a certain sector of buyers will always opt for diesel if it is an option. Maybe it is because they get marginally better fuel consumption per gallon over gas versions. Perhaps they have a tank of untaxed farm diesel behind the barn. Maybe they like the rich smell of heavy oil exhaust. 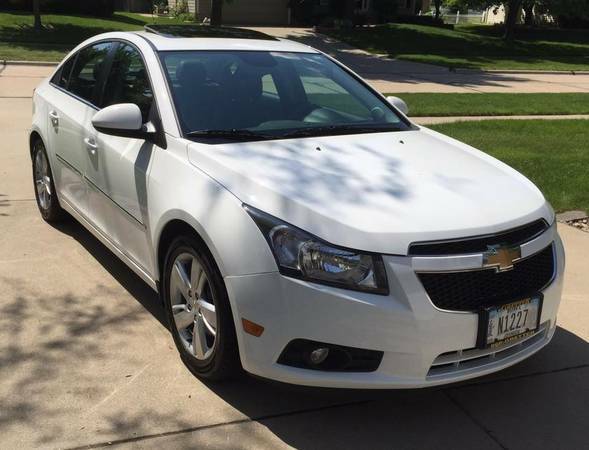 Find this 2014 Chevy Cruze Diesel for sale in Clive, IA for $15,500 via craigslist. This post is part of DT's 2016 Birthday Celebration of 100 cars; enjoy the ride! 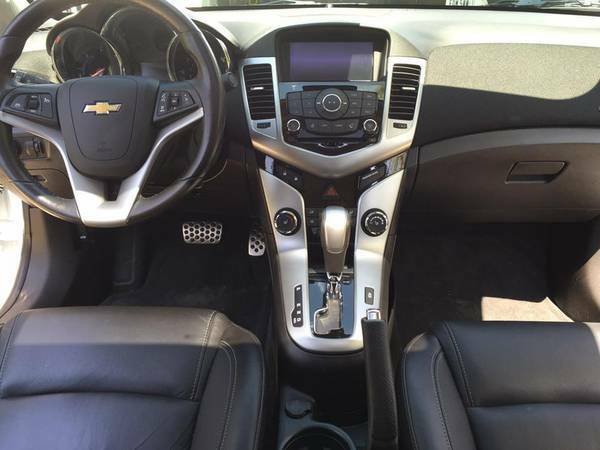 In most markets, is this ecotec equipped Cruze worth the premium you will pay over the normal gasoline engine equipped car? Not by a damn sight. Even in Cummins country, you can only expect certain service stations to carry diesel. Inconvenient. At the pump, diesel is quite often 10-15% more expensive than gas, making any fuel cost advantage negligible. 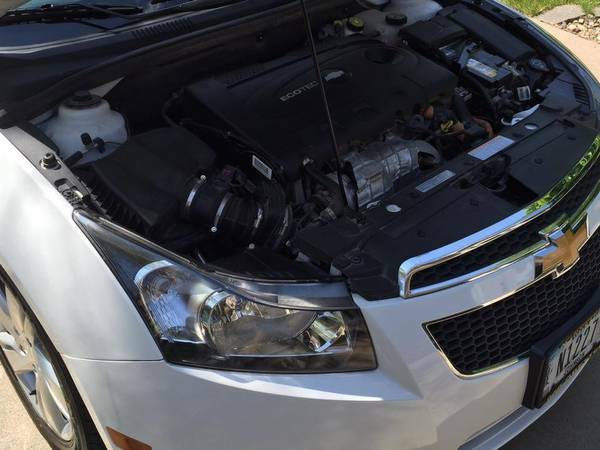 Post-warranty engine repair expenses? Given the rarity of these cars, you could have a tough time finding a technician trained to work on them and you can expect to pay more. But enough bashing on this unusual car. Here at DT, we like low production cars for their uniqueness alone. Advantages of this car include a torque curve that is unlike any other available mill. Though it is not a hot-rod like the BMW 335d, it does have 151 HP and 264 lb/ft of torque. While 151 HP is paltry by most standards, 264 lb/ft is not. There is also a temporary overboost function that gives you 280 lb/ft for 10 seconds while under wide open throttle. Who doesn't want that? 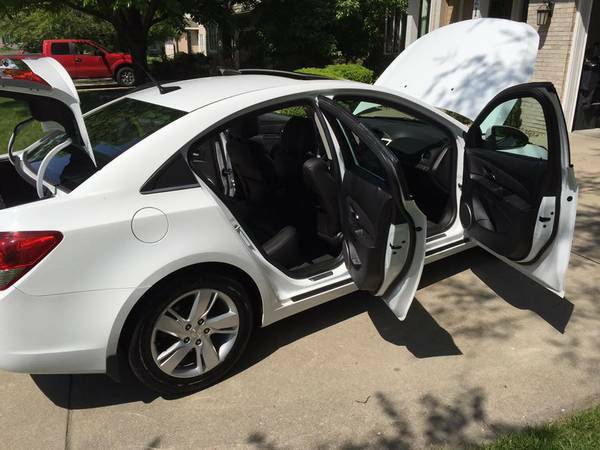 If you plan on keeping this car for a long time and racking up tons of miles, this car might make sense. Diesels are generally overbuilt, so this car's 78K odometer reading isn't all that much. For the ask, however, you pretty much have to have a thing for diesels to be the next owner. Or you could be a spurned ex-diesel-Passat-owner who wants to get it right this time. "280 lb/ft for 10 seconds while under wide open throttle" The male teenager in the family eyes light up...brake stands in the liquor store parking lot with brosef"
All I can say is that this makes that Focus 1.0 Ecoboost above look like a very desirable and good deal. This car would be more desirable in Texas for sure. Folks in Texas are used to putting in the miles. Diesel prices are as cheap (or cheaper) than both Supreme and Medium grades with only Regular being lower, for the most part anyway... and you'd be hard pressed NOT to find a diesel pump down South. That kind of price tag is still hard to swallow with those kind of miles on 2014... even if it is a diesel. I guess the only question mark is the longevity of the Fiat built power plant. My first thought was that it might be another Isuzu joint venture like with my previous '03 Duramax (which was bullet proof), but apparently not. The problem is that what ends up scrapping most modern passenger cars isn't anything to do with the powertrain, it's some bit of body electronics etc. Of course, from a traditional Texan highway-traveler standpoint the problem with this one is it's got no bed to chuck the empties in.